Removed From: 2005 Yamaha FJR1300 with 26544 miles. This swingarm is in very good condition and shows normal signs of wear. Item is in good condition . Removed From: 2010 Yamaha FJR1300A ABS with 58801 miles. 06 Yamaha FJR 1300 A used motorcycle parts for sale - YouTube. Video will open in a new window[isdntekvideo]. I will do my best to resolve the issue. 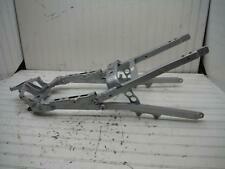 This swingarm is in very good condition and shows normal signs of wear. Removed From: 2007 Yamaha FJR1300A with 46201 miles. Removed From: 2006 Yamaha FJR1300A ABS with 79,943 miles. 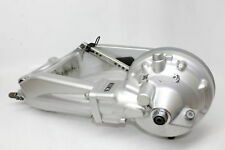 This swingarm with final drive is in good condition and shows normal signs of wear. The swingarm has all the tabs intact. Carefully removed by our master tech. Part is in good working condition. Any problems will be stated below. (8212) (8). Electrical parts are tested prior to removing from the machine and verified to function properly. Removed From: 2010 Yamaha FJR1300A ABS with 58801 miles. This swingarm is in very good condition and shows normal signs of wear. Our goal is to provide quality used parts at low prices. Straight and in good shape. Electrical parts are tested prior to removing from the machine and verified to function properly. Removed From: 2009 Yamaha FJR1300AE ABS with 11,763 miles. This swingarm is in very good condition and shows normal signs of wear. The swingarm has all the tabs intact. The swingarm has light scratches. Unlike many other salvage yards; over half the inventory of used motorcycle parts is kept indoors and out of the weather to prevent unnecessary wear to our products. 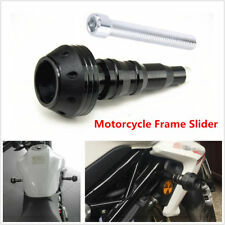 Whether you ride a sports bike, cruiser, scooter, or ATV we can help get the part you need. 2005 YAMAHA FJR1300 REAR SWING ARM. ITEM: SWING ARM. WE WILL SATISFY YOU PROBLEM! THIS UNIT WILL ALSO FIT A 2006 FJR1300. NO CRACKS. 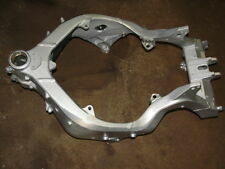 YOU ARE VIEWING AN OEM REAR SWINGARM FOR AN 03-05 YAMAHA FJR1300. PART MAY OTHER YEARS AND MODELS. Removed From: 2005 Yamaha FJR1300 with miles. Our goal is to provide quality used parts at low prices. This swingarm is in good condition and shows normal signs of wear. The swingarm has light scratches. Removed from a 2005 Yamaha FJR 1300. Arctic Cat ATK Bombardier Can Am Car & Truck Parts Harley Davidson Honda Husaberg Kawasaki KTM MX/ATV Parts & Accessories Polaris Rupp Skidoo Suzuki Truck Parts & Accessories Watercraft Yamaha Other. Removed From: 2015 Yamaha FJR1300A with miles. This swingarm is in very good condition and shows normal signs of wear. Pick up at our facilities is available. Removed From: 2009 Yamaha FJR1300AE ABS with 11,763 miles. This final drive is in very good condition and shows normal signs of wear. The final drive has all the tabs intact. Carefully removed by our master tech. 2005 YAMAHA FJR1300 REAR SWING ARM. 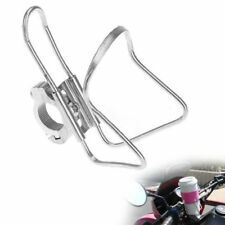 ITEM: SWING ARM. WE WILL SATISFY YOUR PROBLEM! THIS UNIT WILL ALSO FIT A 2006 FJR1300. Removed From: 2005 Yamaha FJR1300 with 12354 miles. 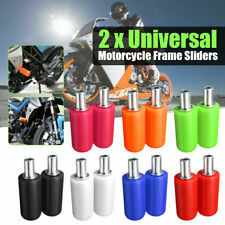 Los Angeles Motorcycle Salvage -. This swingarm is in great condition with minor wear. The swingarm has light scratches. good oem part. 2005 YAMAHA FJR1300 REAR SWING ARM. ITEM: SWING ARM. This BRACKET SET is in very good condition and shows normal signs of wear. Newly Listed. (V-002807, SKU: 117525) CO-SLVG. If part stated 'tested' then it worked prior to disassembly. We test major electrical parts before the bike is disassembled. No leaks, clean oil drained. bike was in front end collision. 2006-2011 Yamaha FJR1300. Quantity: 1 pair. Color: Black. Model Specific. Fairing Cut: No. 2006-2011 Yamaha FJR1300. Fairing Cut: No. Color: Black. Quantity: 1 pair. Model Specific. Material: Delrin. THIS UNIT WILL ALSO FIT OTHER YEARS OF THE FJR1300.